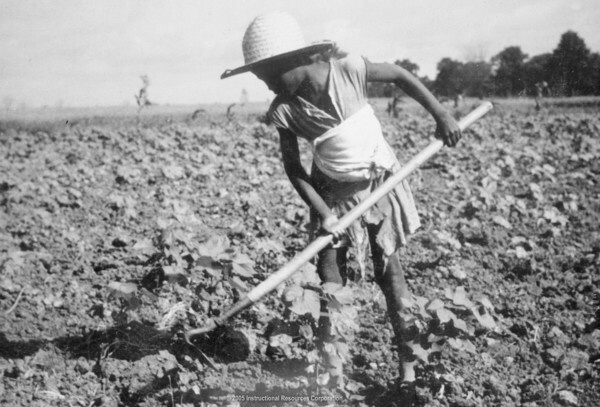 In the rural South the problem was not drought but worn-out soil, and an economic system that kept sharecroppers and tenement farmers perennially in debt.This child of an impoverished African American tenant farmer, like most children, worked on the family's Alabama farm in 1936 rather than attending school. 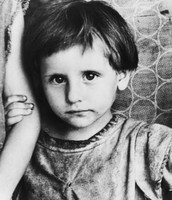 Child of an African-American Tenant Farmer IRC, 2005 . Image. Tenant farming is an agricultural system in which landowners contribute their land and a measure of operating capital and management while tenants contribute their labor with various amounts of capital and management.Under one arrangement, known as sharecropping, the landowner furnishes all the capital and sometimes the food, clothing, and medical expenses of the tenant and may also supervise the work. In other forms of tenant farming, the tenant may furnish all the equipment and have a substantial degree of autonomy in the operation of the farm. 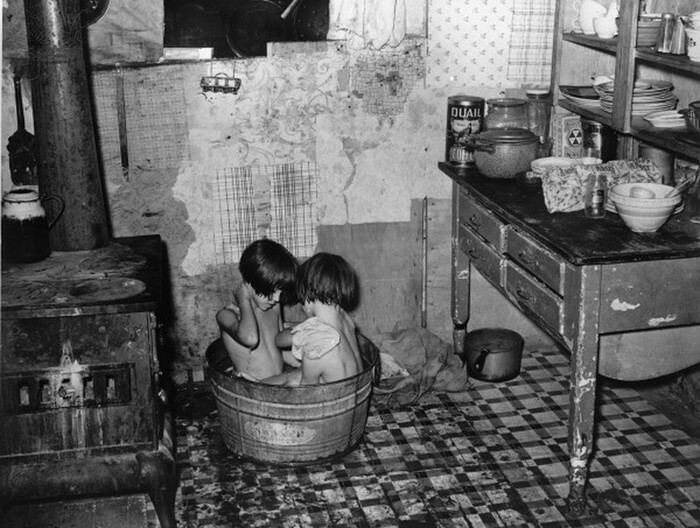 Children of a Tenant Farmer / USA / 1939. Photograph. Encyclopædia Britannica ImageQuest. Web. 9 Oct 2015. 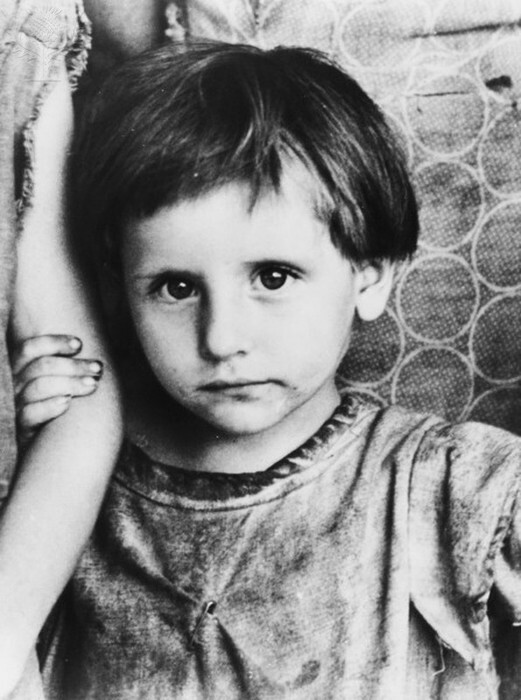 Daughter of a Tenant Farmer/USA /W.Evans. Photograph. Encyclopædia Britannica ImageQuest. Web. 9 Oct 2015. 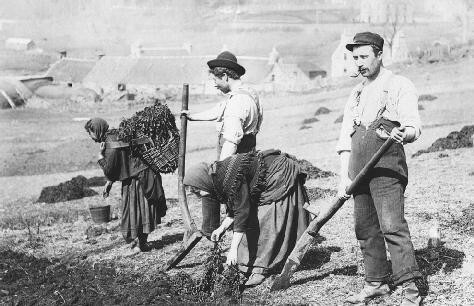 "Farmers plant potatoes on the Island of Skye, Scotland, c. 1899. Skye is the largest of the Inner..." Europe 1789-1914: Encyclopedia of the Age of Industry and Empire. Ed. John Merriman and Jay Winter. Vol. 4. Detroit: Charles Scribner's Sons, 2006. World History In Context. Web. 9 Oct. 2015.